Centre for information technology of the Government of India Organization Development of Advanced Computing (C-DAC), Hindi words into digital form RAID change made portraiture a software (Chitrankan) these Hindi OCR software that is now in a Hindi or RAID type without the page with the help of this software you can get text form. This free tool size is 10 MB. Another link where you can download it. These links will take you to portraiture download page where you will receive the download link after filling out the information. The second additional download link here. This will give you a zip file from the link that anjip another text file to Chitrankan folder. Text file instructions first before your Windows drive ini file chintrakan. 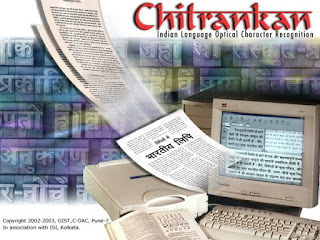 (usually drive C), paste the file you Chitrankan these chintrakan. ini folder within. Chintrakan. ini file directly to download click here.